Barbershops in Japan tend to cater for an older clientele, offering a simple menu of cuts and shaves, in a no-frills environment, decorated with faded posters of 80’s hairstyles. A little intimidating for first-timers to the say the least, and not exactly inspiring confidence you will get what you ask for, especially for non-Japanese speakers. If you are looking for a more contemporary cut, or a barber with some sharp tapering or fading skills, then your options are severely limited. Until now that is, with the news that New York-based Frank’s Chop Shop is opening its doors in Kyoto’s Nakagyo ward this December. With three branches already in Japan—in Fukuoka, Okinawa, and Kagoshima—Frank’s Chop Shop combines the traditional American barbershop, complete with vintage 1930’s leather chairs and checkerboard floor tiles, with a modern hip-hop vibe. 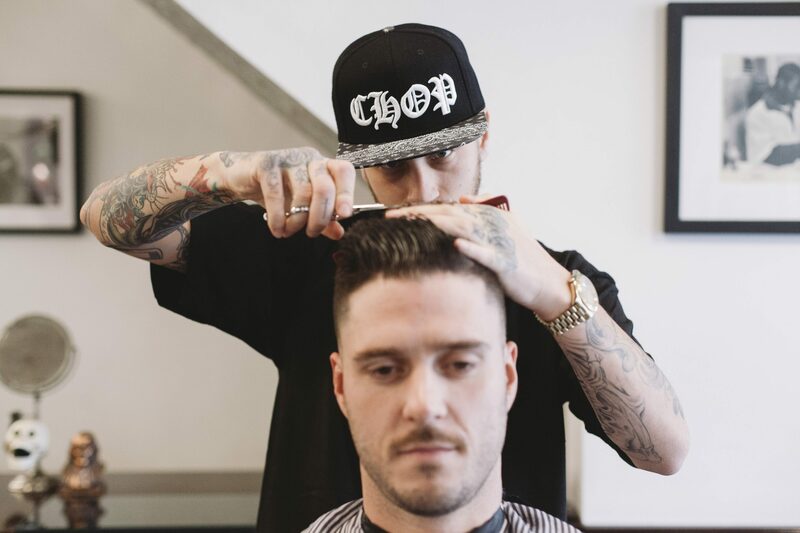 Offering an array of contemporary gentlemen’s haircuts, including razor-fades, buzz cuts, and styled scissor cuts, Frank’s Chop Shop has a diverse and loyal fan base—from local hipsters to international businessmen. With English-speaking barbers, contemporary styles, and a laid-back vibe, you’ll wonder how you lived without them for so long. Check the website for appointments.